Fire Rated Butyl Rubber Gasket Tape is a flat section, preformed Intumescent strip based upon synthetic rubbers and carefully chosen fire resistant materials. It deforms under moderate pressure and has appreciable surface tack and recovery. 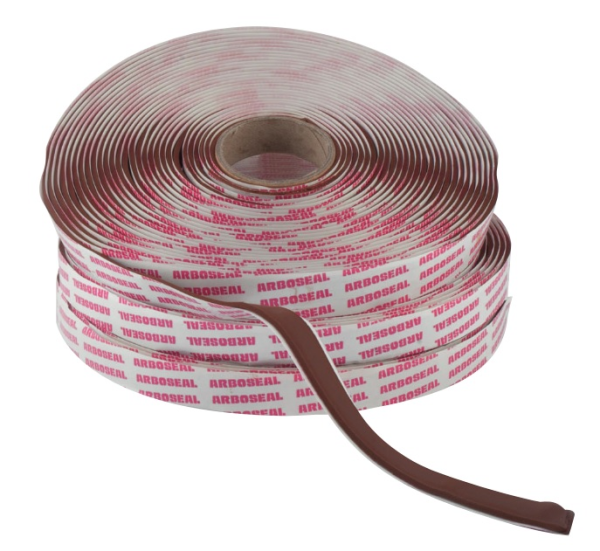 Butyl Rubber Gasket Tape bonds immediately to the mating flanges without slippage or movement although it will yield without breaking its seal when ductwork is prone to movement (ie during erection and leakage testing procedures). When subject to flame, the tape will intumesce (expand and char) blocking the passage of fire and smoke. Recommended to provide 30 minutes’ fire integrity. Teak or white 15MM x 3MM x 12M rolls.